AudioBook Converter enables you to convert both DRM protected and unprotected audio books to unprotected to unprotected MP3 or AAC files with CD quality at 16x faster speed! 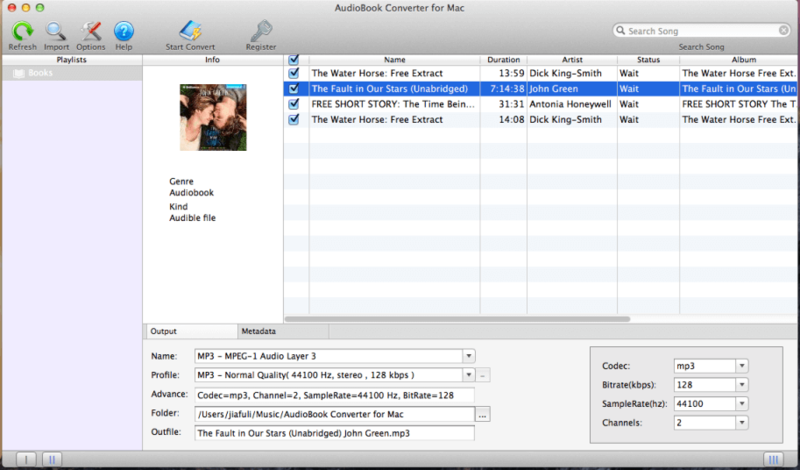 AudioBook Converter for Mac is currently the easiest and quickest method to convert iTunes and Audible audiobooks to MP3 or other formats such as M4A, AAC, AC3 etc with ID tags preserved. It is compatible with any format of the audiobooks, including DRM protected (eg like AA, AAX, M4B, etc.) and DRM unprotected (like M4A, MP3, etc.) formats. The program seamlessly integrates with iTunes and the audiobooks are automatically obtain all audible audiobooks on your iTunes. You will not need to manually select the files for conversion. During conversion, the programme legally removes the DRM protection from the encrypted AA, AAX, M4B audiobook files, while ensuring there is no loss of sound quality. You can select an individual audiobook for conversion or multiple audiobooks for batch conversion. You can also select the conversion speed from 1X to 16X. Coupled with an intuitive software interface, this will save you valuable time. It is so simple that even a ten year old child can easily complete a conversion task. Easily convert audiobooks in minutes for playback on any device! Karaoke Midi MP3 CDG AVI for Windows 95, 98, NT, 2000 and XPTwo main part : the explorator and juke box part.Explore your hard disk, create your own jukebox list.Up to 4 panels at the same time.Can read zip files Fully configurable midi.